Well, a picnic is the one and only way to explore the most of London’s open spaces. No matter whether you are looking for a romantic getaway or somewhere to relax with your friends, be sure to find the perfect place with our guide. So, pack a blanket and some food, wherever you go; but remember one thing that you need to leave the spot by taking all your rubbish with you. Explore the World Heritage Site at Kew Gardens, the Royal Botanical Gardens which is one of the most famous gardens throughout the world. Witness over 140 hectares of gardens and landscapes, stroll the soaring treetop walkway and wander around the tropical glasshouses .there, get to enjoy four cafes, restaurants, art galleries, a serene lake and water lily pools. However, the grass houses of Kew Garden offers hours of uncover discovery for the tourists of all ages. Being amazed by the giant lily pads at the Water lily House, explore the exotic rainforest at the Palm House and travel through the 10 climatic zones at the Princess of Wales Conservatory. Greenwich is one of the oldest and enclosed Royal Parks having area of 74 hectares. It’s even a home to the small herds of deer. If you will go to the top of the hill, then rest assured that you will enjoy sweeping views across Central London and River Thames. 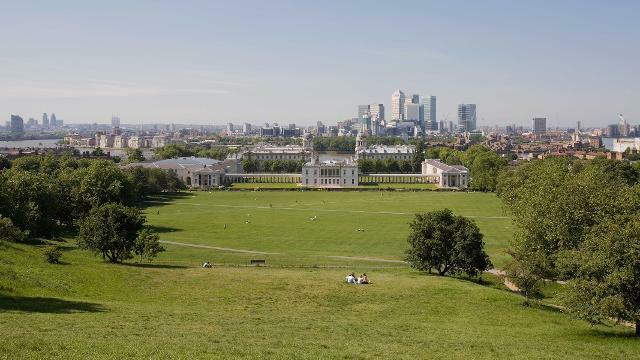 In fact, this park is an incredible part of Greenwich World Heritage Site and even a host to the Prime Meridian Time and the old Royal Observatory. In summer days, a bandstand hosts to the concerts and the children’s playground can offer much more entertainment. Wide areas of ancient woods at the suburban North London brings together a railway line which is reclaimed as an open space. The place even supports a variety of wildlife habitats. The Hyde Park of London is one of the greatest city parks throughout the world. Having 142 hectares with over 4,000 trees, a large lake and ornamental flower gardens, there is a good opportunity you will forget you are right in front of the centre of London. Hyde Park has everything for everyone. Here, you can enjoy swimming, boating, cycling and skating. Even, there are several pitches for team games, tennis courts, and tracks for horse ride and a spectacular space for children’s playground.